Be it rock, pop, funk & soul, chanson or musical, it is Voice Over Piano‘s speciality to blend together all of these genres in one performance. They pick up the audience the audience where the diversity of musical preferences begin. A successful performance depends crucially upon a leitmotif/theme. It starts off the concert and pieces the entire event together. This is what Thomas Blaeschke is responsible for. He does not only accompany Sara Dähn on the piano and conducts the musicians; he also operates as the moderator. With plenty of wit and charm, he guides the audience through the decades of musical history and offers fascinating insights into the multifaceted world of music. Voice Over Piano provides the right framework for every event. A charming evening with just a piano and vocals, a spectacular show with a full band line-up or a fulminant concert with an orchestra; a short performance, a gala dinner or an entire concert – Sara Dähn and Thomas Blaeschke cater to your specific wishes and draw on decade-long experience. Whether it is an exclusive customer event, a concert evening or a summer open-air – every event is unique and Voice Over Piano creates an individual touch which will be remembered. Sara Dähn and Thomas Blaeschke lend new splendor to world hits with their own interpretations and show that their own songs can compete with the big players in the music business. 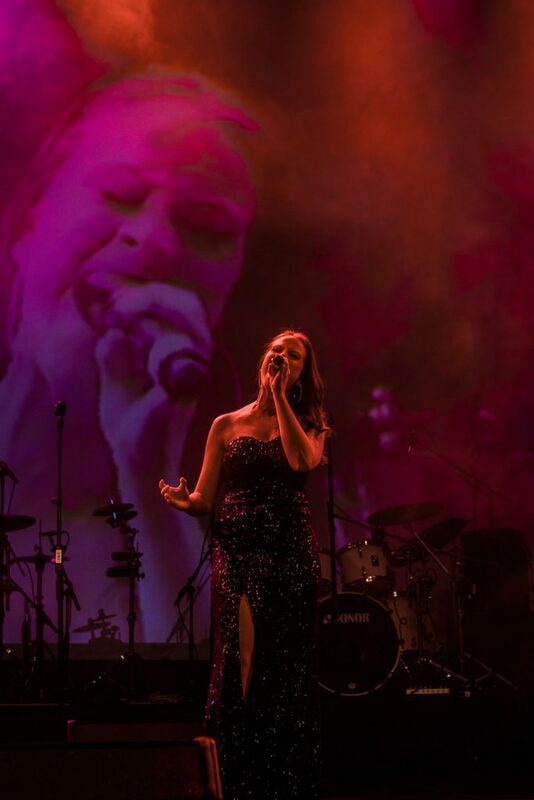 Immerse yourself, be enchanted and experience songs by ABBA and Beyoncé Knowles, classics by Georg Kreissler or Trude Herr, snippets from famous musicals, such as “Cats“, “Evita“ and “Lion King“ or even world hits by the likes of QUEEN or Frank Sinatra. Upon request, Thomas Blaeschke will function as a conferencier at corporate events, taking care of the adherence to the timetable while supervising all of the important matters.